As many of you know, I have been in practice for many years (some would say too many years but that is another matter! ), and one topic that has become more and more common whilst chatting to my patients is dry eyes. It certainly isn’t always recognised as this, but when you understand the various ways that it shows up then you are on the way to helping relieve the problem. So what are these symptoms? The common perception is that dry eye feels like a scratchy sensation or that there something is in your eye. However, there are other sensations that are due to dry eye and these include stinging or burning, times when you get a runny eye and you may also feel as if your eyelids are heavy. Quite often my patients mention that they experience blurred, variable vision and difficulty in focusing. 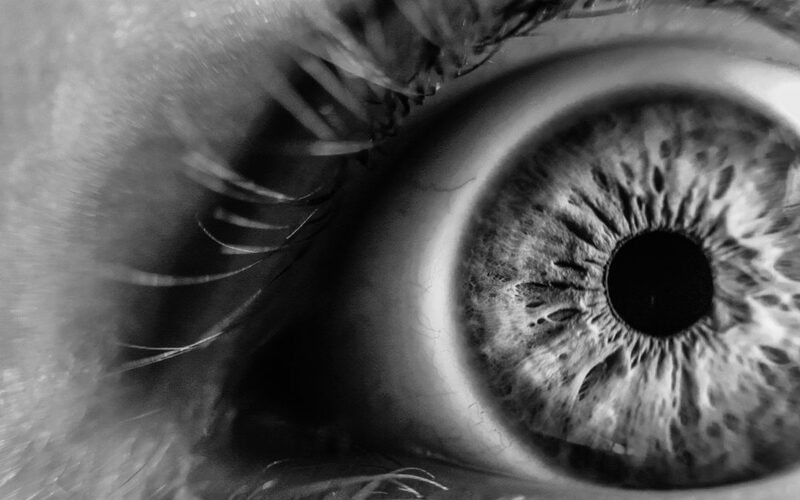 By the way, why do our eyes run when we have dry eyes? What happens is that a dry patch develops on the eye when the tear film fails and when your blink the eyelid brushes over dry patch there is instant irritation. The body’s natural reaction is then to flood the eye with aqueous tear fluid, so your eye runs. There are many reasons why this is becoming more common, or is noticed more. The first thing that is happening is unfortunately we are all getting a bit older and age does have a significant effect. A lot of us are now using screens or digital equipment, we watch television and most houses have central heating and offices and cars have air conditioning. Some 20% of British people have dry eye, and when we get to over 65, the proportion rises to over 50%, so it is nearly more common than not! To understand what is going on, I think it is helpful to know a bit more about tears, what they are made of and what they do, what goes wrong and what can be done. The tear film of the eye has many functions. The clear window at the front of the eye, the cornea itself has no blood vessels, and is dependent upon the tear film for its oxygen supply, which it gets from the air when the eye is open. Secondly, and most often forgotten, it creates a smooth optical surface over the cornea to allow clear focusing for clear, stable vision. It also keeps the eye hydrated, provides nutrients to, and removing waste from, the ocular surface. It provides a smooth, lubricated surface for eye and lid movements and is important for fighting infections. on the eye. The innermost layer is the mucin layer. This layer consists of a thick, slippery, mucus material. It acts as a protective lubricant and provides a smooth surface for even distribution of the tear film over the surface of the eye. The middle layer is the aqueous layer. This layer consists of water, proteins, oxygen, and salts (which is why tears taste salty). It provides nutrients to the surface of the eye, removes waste products, and prevents infection. The outermost layer is the lipid layer. This layer consists of oils that coat the aqueous layer, act as a sealant to prevent the tears from evaporating and prevent the tears from flowing over the lower eyelid. These different parts of the tear film are produced by different glands which are under your eyelid. The Mucin later is produced by the Conjunctival goblet cells, the aqueous layer is produced by the Lacrimal gland and the lipid layer is produced by the Meibomian glands. When we blink, the tears are spread over the surface of the eye, so that they can lubricate, nourish and protect the front of the eye. Basically, at its simplest, the eye is drying out. However, this can be caused by a great number of different reasons, some from your body and some from the outside world. Our world now consists of screens of all sorts and sizes. One thing that is common to all of them is their effect on our blink rate. Normally we blink at around 60 times a minute. Research has shown that on computers, handheld devices and even the TV our blink rate slows significantly, down to only 20 times per minute is not uncommon! So our eyes are open a lot longer, so they dry out more and the eyelids don’t sweep away the debris so often. It isn’t a surprise that our eyes ache after we’ve been browsing the web for half an hour or more. This problem is common to all ages, however if your tears are in great condition you can probably cope, just about! But if your tear film is poor, the eye will dry out, the vision will become blurred and suddenly your eyes start running. If you add on to this screen use central heating which dries the air, and air conditioning in offices and cars which does the same, it isn’t surprising that the problem is becoming more common. One of the other things that is often noticed is that our eyes run when we are outside. This happens when the oily part of the tears isn’t thick enough and the aqueous watery part of the tears evaporates, causing the dry patches on the cornea and the body reacts by producing a flood, so your eye runs. When we look at the physiological reasons for dry eye, there are a couple of things to bear in mind. Some medications can cause the eyes to be dry. These include certain blood pressure medications, antihistamines and anti-depressant medications which can reduce the ability of the lacrimal glands to produce tears. Certain medical conditions, such as Sjögren’s syndrome and rheumatoid arthritis, can decrease the ability of the lacrimal gland to produce tears. However, the more common reasons for dryness of the eye are caused by problems with the surround and glands within the eyelids, including blepharitis and Meibomian gland disorder, as well as eye infection. Fortunately, with a bit of care and perseverance dry eye can usually be managed. In my next email I will look at investigating and controlling of the discomfort that dry eye causes. If, in the mean time, you want any further information please don’t hesitate to contact me by phone, email or just drop in for a chat.